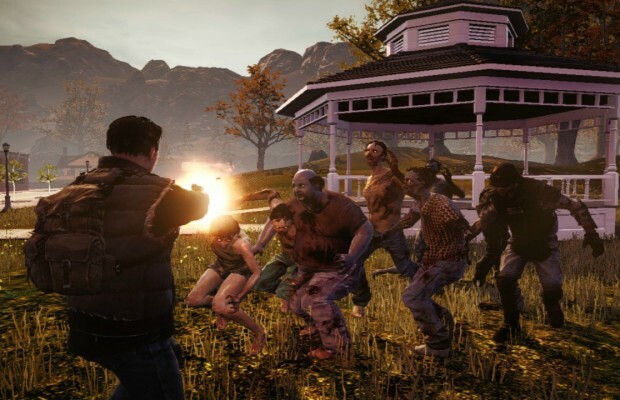 This summer’s State of Decay was an ambitious beast – by placing players in an open-world game set in a wasteland ravaged by a zombie apocalypse, developer Undead Labs hoped to give players an experience unlike any other; the game tasked players with surviving in a living, breathing world that kept on moving even when they walked away from the controller. Unfortunately, State of Decay fell a bit short of those lofty ambitions, instead offering an experience that was often enjoyable, occasionally inspired but largely tedious and bland. Still, like its namesake, Undead Labs won’t let that keep them down, having just released a new DLC pack – Breakdown – for the game just last month. The content offers a new way to play State of Decay, but is it enough to make the game more than just a quick distraction between major titles? State of Decay: Breakdown takes the same basic systems and architecture of the main State of Decay experience and adds a new wrinkle to it. Players are dropped into an open, post-apocalyptic world and tasked with survival – scrounging for supplies, fending off zombies, rescuing and recruiting survivors – just as in the original game. Breakdown, however has no real narrative arc to speak of; players are dropped into the sandbox and tasked with surviving as long as they can, progressing through 10 random levels. An RV will spawn in a random location in each level, which the player is tasked with recovering and repairing to move on to the next level. That’s where the biggest wrinkle kicks in – each successive stage is more difficult than the one before it. Zombies are faster and stronger, and special zombie types are more numerous. Thus, quick thinking, stealth and distraction are the name of the game, and players have to think strategically if they want a shot at making it through all 10 stages. Adding to this is that each RV only seats six characters, meaning you’ve got to put some real thought into who you bring along – bringing the wrong characters along could spell your doom in the next level. That said, Breakdown is still State of Decay at its core, for better and worse. Back when the game first hit over the summer, we felt that, while the emergent gameplay lent itself to some truly unique moments, on the whole the game was as about as average as they come. Although the increased emphasis on survival is interesting and a challenging new way to approach the game, that game is still largely mired in tedium. Until the RV spawns, each level finds you doing most of the same tasks that took up your time in the original game – clearing houses with the same handful of layouts to pick them over for supplies to upgrade your base (which you’ll abandon once you go after the RV anyway). It takes time for the vehicle to appear, so everything you do up until you nab the vehicle feels a lot like marking time instead of actually accomplishing anything. That wouldn’t be so bad, but those emergent moments are still few and far between. Ultimately, your enjoyment of Breakdown will almost certainly come down to how much you enjoyed State of Decay in the first place. If you enjoyed the original game, there’s certainly still a lot to love here – all of the game’s original systems are still in place, so if you enjoyed recruiting survivors and scavenging for supplies that’s still a big part of the experience. However, if you were one of those that found the original game to be lacking, Breakdown doesn’t offer much to change your mind – especially considering that it can take a while for any of the big difficulty spikes to really kick in. In the end, Breakdown adds an interesting wrinkle to the State of Decay experience, but that experience is still fairly bland and lifeless (pardon the pun). If you weren’t wowed by the game over the summer, there’s nothing here to change your mind. State of Decay: Breakdown was developed by Undead Labs and published by Microsoft studios. A copy of the game was provided by the publisher for review purposes.